For many drivers in Phoenix, auto repairs constitute a serious worry for their vehicle. The situation can immediately become very complex, and they often consider trashing the vehicle, rather than take it in for a repair. Your engine is a beautiful, complex and hardworking piece of machinery. It gets you where you need to go; it is fast, efficient, convenient and powerful. 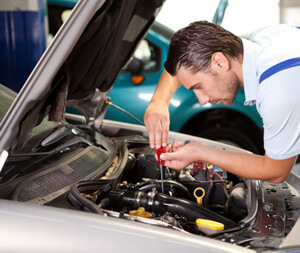 Auto repair is what will keep your vehicle in excellent condition, and save you a great deal of worry. Many drivers simply cannot stand the thought that their vehicle is experiencing an engine problem. In fact, most people after seeing an active Check Engine Light will chalk it up to a broken sensor, or convince themselves that the issue is minor. Well, it could be a minor issue, or a broken sensor, but an engine relies heavily on many parts operating as one to achieve its power, efficiency and longevity. One weak link in the chain can have serious repercussions if not attended to as quickly as possible. Especially in modern cars, a bad sensor can quickly cause other issues to rapidly develop such as poor fuel economy, or even timing issues. This is because the activity of the engine can actually be slightly modified by the Electronic Control Module of your vehicle. If faulty information is being fed into the computer, these modifications can do more harm than good; garbage in, garbage out. With all this said, car engine service is actually much easier than many people tend to think. It is simply a matter of making sure that all the correct preventive maintenance is performed on schedule. There are certainly a few things that can make all the difference in preserving your engine for the long haul. By paying attention to the overall health of your engine, you can minimize the total cost of maintaining your vehicle, and maximize its lifespan. Regular oil changes - Regular oil changes are perhaps the easiest and most effective way to keep your engine in great shape. Because the oil in your engine works as a lubricant and a cooling agent, it is very important to make sure that you have the proper level of oil, and make sure it remains clean. Different vehicles require an oil change at specific intervals, so be sure to consult your user’s manual for the definitive information. Timing Belt - The timing belt in your engine is one of the most important things in your engine. It essentially is the hard wiring that keeps your cylinders firing at the correct moment and in the correct order. A broken timing belt is perhaps the worst thing that can happen to an engine, so it is very important to make sure it is replaced before it breaks. Cooling system - One of the most interesting things about the internal combustion engine is the fact that is has an optimum operating temperature. Though the engine becomes more efficient at higher temperatures, it must not too great, or great damage can be done to the internal components of the engine. Maintenance for the radiator, its hoses and replacing the water pump can keep your engine in proper shape for the long haul. If you have any questions as to what we can do for your vehicle, we invite you to contact us and let us know how we can help. Our staff is standing by to make sure that you get the information you requires.